Highways England report recommends use of smart cars and drones to spot issues and improve response times. Smart cars could soon play a vital role in ensuring Britain's roads stay in good working condition, a new report has recommended. 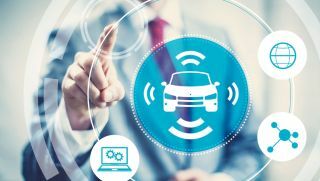 In its Strategic Road Network Initial Report, published today, Highways England, the government-owned body that oversees maintaining and operating the nation's roads, recommends that connected cars be used to spot issues with the road network. For example, cars could be programmed to spot potholes on motorways, with the information then automatically transmitted, allowing for repairs to be quickly scheduled. The report also suggests that drones could be used to fly overhead road networks and report back on incidents, improving response times and possibly saving lives. “We are delivering a record £15 billion of government investment to give people safe, efficient and reliable journeys, and provide businesses with the links they need to prosper and grow," said Highways England chief executive, Jim O’Sullivan. “Because people’s journeys are important to us we are setting out our high level aspirations which will help ensure the network continues to drive economic growth, jobs and prosperity, and keeps traffic moving today, and into the future. Highways England says that an intelligent network coupled with connected vehicles would improve how efficiently roads are maintained and at the same time improve safety, and these recommendations, and the report as a whole, will be used to inform the government’s next road investment strategy which begins in 2020. “This government is making people’s journeys better, faster and safer to give people better access to jobs, schools and their community," said Transport Secretary Chris Grayling.